Caruana with his fourth win in six games now has five points and is a full point clear of Viktor Laznicka, who was disappointed with his draw against Women’s World Champion, Hou Yifan. 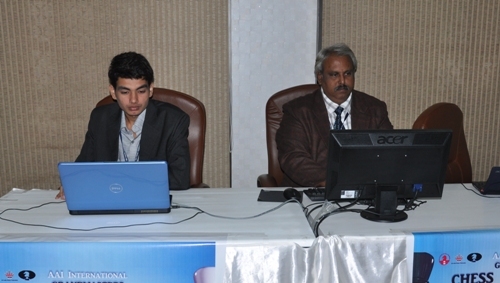 In the other game, Krishnan Sasikiran’s winning streak was halted as he was held to a draw by Wesley So of the Philippines. Sasi has 3.5 points in third place and So has three points. Negi has 1.5 points and Yifan has one. 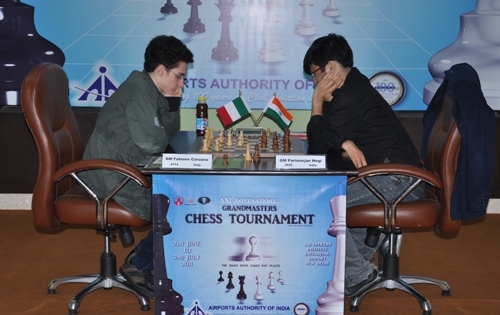 A day after the only rest day in the inaugural AAI Grandmasters Chess Tournament, as two of the three games ended in draws, Parimarjan Negi suffered his second loss of the tournament at the hands of World Junior No. 1 Caruana, who has beaten him in the opening round of the event. In a Sicilian – Najdorf, Caruana with white was determined to keep the advantage and he kept his slight edge. But Negi did have the clock on his side and the position looked fine for him. He had a lot of time advantage over his rival, but just then he made a mistake in the middle game, as has been the trend this tournament. Into the middle game, Caruana displayed his greater experience as Negi sought a risky route. 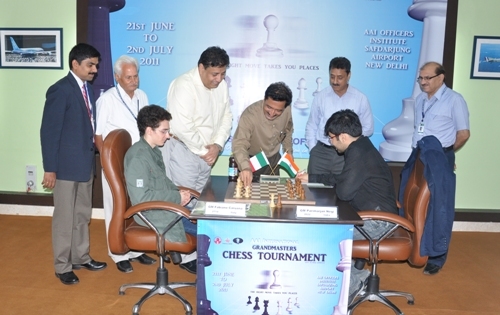 Caruana sacrificed a queen for three pieces and then kept pushing the Indian back. Negi for his part, knew he was fighting a losing battle but kept hoping for a draw, which was not to be. He finally resigned after 98 moves and after both players queened their pawn. Negi had two queens to Caruana’s queen and three pieces. Caruana kept his advantage intact and eked out a fine win. “It was a tough and tiring battle, but I knew I was winning so I had to keep going,” said Fabiano Caruana with a smile of a tired but satisfied man. 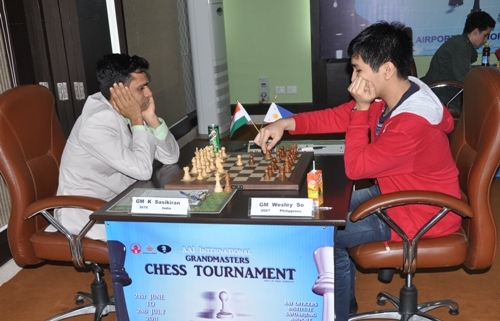 Sasikiran who lost to Wesley So in the first leg of the tournament was unable to avenge that defeat as they drew the Anti-Meran in 50 moves. Back in 2010 Sasi beat So in the Asian Games in Doha enroute to the gold medal, but this time around even with white pieces, Sasi was unable to conjure up a win. 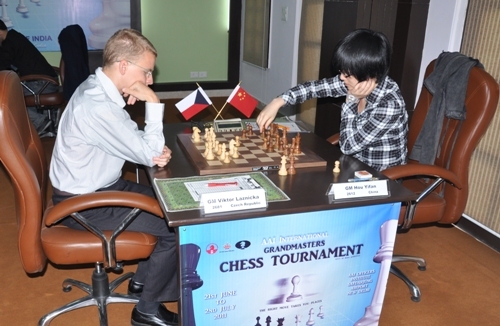 Laznicka with white and fully rested after the first half of the tournament may well have expected a full point from the off-form Hou Yifan. But the women’s world champion, playing black, defended well and held the Czech champ to a draw in 32 moves following a Catalan opening. Laznicka trying to stay in touch with the leader, Caruana, was disappointed with the draw. “I must admit that I am disappointed. With white I was hoping for a better result, but she defended well. I could not find a way, I am not sure where I made a mistake, if any,” said Laznicka, who saw a bit of the city with his parents on his the rest day. On the rest day on Monday, the players went for some sight-seeing to soak in some of the landmarks of the Indian capital. There are four more rounds to go in the 10-round Category-17 tournament.